Anne R. Pierce combines historical perspective with up-to-the-minute analysis of forces shaping our world. Her foreign policy work emphasizes both moral and strategic concerns, stressing human rights and political freedom, and national security and global stability. She explores the American foreign policy tradition, and its relevance in modern times. 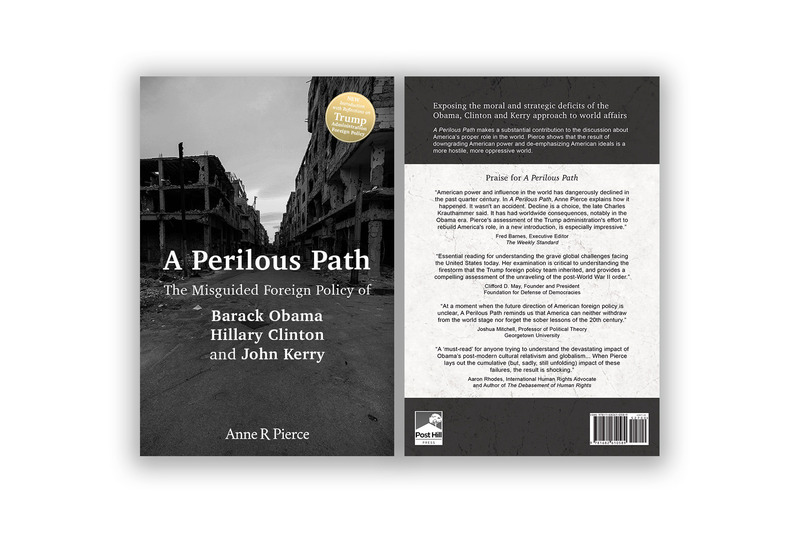 Her recent book, A Perilous Path: The Misguided Foreign Policy of Barack Obama, Hillary Clinton and John Kerry, is now available in paperback with a new introduction on Trump Administration Foreign Policy. Buy the book here. | Learn about the book here.